West Indies batsman Chris Gayle has been awarded 300,000 Australian dollars (£173,000) in damages more than a year after winning a defamation case against Australian publisher Fairfax Media. Articles published in the Sydney Morning Herald, The Age and the Canberra Times reported allegations the 39-year-old had exposed himself to a female massage therapist. A jury in Sydney in October 2017 ruled the claims were not true and that their publication by Fairfax Media was motivated by malice. Gayle’s legal team argued that Fairfax journalists wanted to “destroy” the cricketer. New South Wales Supreme Court Justice Lucy McCallum made the award. She said in her decision that the defamation “went to the heart of Mr Gayle’s professional life as a respected batsman” and “had particular resonance in cricketing circles”. In a Fairfax Media statement, a spokesperson said: “The jury was misled in a way that prejudiced Fairfax, and Fairfax did not get a fair trial. During the case’s six-day trial, massage therapist Leanne Russell said that Gayle had partially exposed himself to her in a dressing room in 2015, leaving her “very upset”. She contacted Fairfax Media after being angered when Gayle told a journalist “don’t blush, baby” in a television interview, the jury heard. 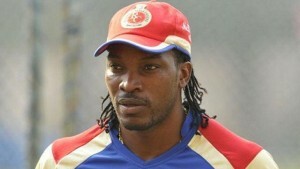 Fellow cricketer Dwayne Smith, who was also in the dressing room, supported Gayle’s version of events.